"We need to get this straight. Ray Wallace's wife hated the bigfoot scene and would have nothing to do with it, ever! So if there is someone in a suit, it is not her. If Ray Wallace had footage of a fur-suited creature made, this is news to me. 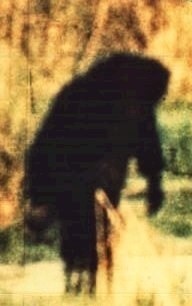 All of his supposed bigfoot photography that I ever saw was in the form of stills. These two pictures that you sent look like stills from the Ivan Marx footage. If they are, then this will be Marx (not Peggy) in the suit that he and Peggy made from old fur coats that he purchased from The Goodwill in Spokane, Washington. Distinctive to pictures of the "Marx creature" in his footage will be one (both?) heels of the image showing red and one heel (two?) with a piece of skin supposedly from the sole of the foot flapping as the "creature" walks. This, Marx told us was one of the "creature's" injuries from being struck by the morning train. Mountain Empire News -- Ivan Marx of Burney, Shasta County, California, had a road named after him, “Ivan Marx Road,” so popular was he in the region. He was, according to many, a very accomplished nature photographer, skilled woodsman and animal trainer and tracker back in the '60's and 70's. By inquiring of Indian and Eskimo informants and studying sasquatch habit patterns he appear to learn how-to be at the right spot at the right time, camera at the ready. Marx bred some of the most expensive, prestigious hunting dogs in the country, many were used in Disney movies. People who knew Marx well, including Rene Dahinden reported that Marx was one of the greatest story tellers going -- a contemporary Will Rogers. Nine years later, when the Patterson 1967 footage made headlines, Marx disclosed to very few friends his own, less detailed film. Inspecting the original, the numerals "57" at intervals along the sprocket holes, the year of manufacture, corroborating Ivan's chronological sequence. 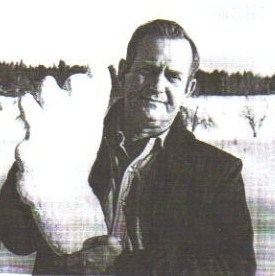 Competition between some of the most dedicated Bigfoot enthusiasts was intense and Marx's successive footage was bound to be challenged as to authenticity from the outset. Consequently, it has not been subjected to the extensive scientific scrutiny that Dr. John Napier and the Russian scientists lavished upon the late Roger Patterson's famous 18-second film taken in 1967 at Bluff Creek, Humboldt County, California. 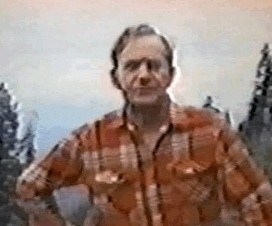 Ivan Marx, who was a sometime cougar-bear hunter/trainer for Walt Disney was noted mostly for his superb and very expensive hunting dogs and his 1976 b-rated documentary titled, "The Legend of Bigfoot," a Palladium Production which ran 76 minutes in color and featured he and his wife, Peggy Marx. Ivan Marx, was widely derided as a phony by 'some' so-called Bigfoot experts like John Green, who is better known for his jealous sour grapes, often negative personality. Peggy Marx insisted that the photographs and film footage of a Sasquatch taken by her husband were authentic while detractors claimed his photos and film footage were actually Peggy dressed up in a furry gorilla suit. Mrs. Marx appeared as herself in the Legend of Bigfoot and worked as a cinematographer on her husband's speculative documentary. The 1976 feature film Legend of Bigfoot was a scenic documentary about California landscape and the legendary creature Bigfoot, with emphasis on Bigfoot being the missing link. 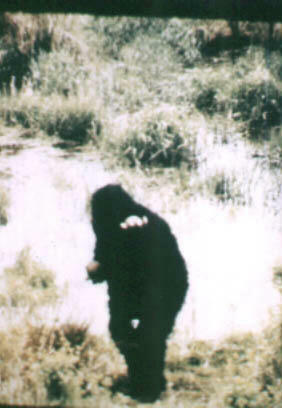 Marx also produced the 1983 feature-length documentary, "In the Shadow of Bigfoot," an Amazing Horizons, Inc., production, which incorporated Marx's dramatic and potentially the most valuable sasquatch footage from the point of view of physical anthropology of that era, according to Marx. Some hailed it as a worthy response to the Haas-Bayanov plea and others of the day "laugh it out of court." on Bigfoot Encounters website '98.